Do you ever wonder what makes the FSI and TSI motors different? Depending on your model and year of your Volkswagen or Audi, you will have one of these two types of motors. There are some major differences such as the cam follower, the high-pressure fuel pump (HPFP) and the timing chain vs. timing belt. As well as some minor differences such as the location of the intake, dipstick, oil filler cap and the oil filter housing. The Audi and VW’s that had the 2.0T FSI motor started during 2006 and ended during 2008. During 2008, the 2.0 TSI motor was introduced to the MK5 GTI and carried over into the MK6 GTI until 2014. *What is the difference between the CCTA and CFBA? The CBFA motor has a Secondary Air Intake (SIA) to allow the car to pass emission inspections because certain states such as California have stricter emissions standards. During 2013, the Gen 3 2.0 TSI motor was introduced to the MK6 GLI and the Beetle. *What is the difference between the CPLA and CPPA? The CPPA and CPLA engine codes have a number of revisions that rectify previous issues and increase power, improve fuel economy, and reduce emissions. In 2015 the MK7 GTI came out, still carrying the 2.0 TSI motor. *However the MK7 Golf does come in a diesel version which has an engine code of CYFB. As many know, the cam follower is located in the HPFP. With the FSI motor, the cam follower is flat. Compared to the cam follower in the TSI motor, which is a roller. A common problem with the flat cam follower is that they get worn down and if not routinely check and replaced, it can cause severe damage to the HPFP. For every four combustion cycles, two large volume pressurizations occur. However with the roller cam follower, only four small pressurizations occur for every four combustion cycles. This is because there is less friction occurring causing less wear and tear on the follower. 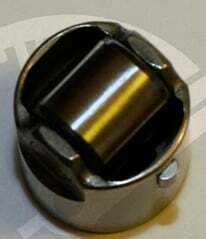 It is recommended that every 10,000 miles you take out the cam follower on your FSI motor and check the wear. The HPFP on the FSI motor is located on top of the engine on the driver side. It is actuated by a special lobe on the intake camshaft. The location of the HPFP on the TSI motor is similar to one on the FSI motor. It is on the driver side on top. However this HPFP is actuated by a special 4-sided camshaft lobe that is located on the exhaust camshaft. These improvements on the cam follower located inside the HPFP allow for less wear and tear and a longer lifespan for your HPFP. The timing of a motor is the relationship between the rotation of the crankshaft and camshaft(s). It controls the movement of the valves and pistons inside the cylinders. One’s motor needs the intake and exhaust valves to open at a very precise time in relation to the pistons. If the timing is off, the engine just won’t work or run properly. The FSI motor comes with a timing belt. This belt snakes through a series of pulleys and has mechanical or self-contained hydraulic timing tensioners to keep the proper tension on the belt throughout the entire rpm range. The longevity of a timing belt is going to less compared to a timing chain. When doing maintenance and replacing the timing belt, be sure to replace the tensioners and pulleys at the same time. When the TSI motor was made they saw the flaws in the timing belt design, this is why they went with a timing chain. 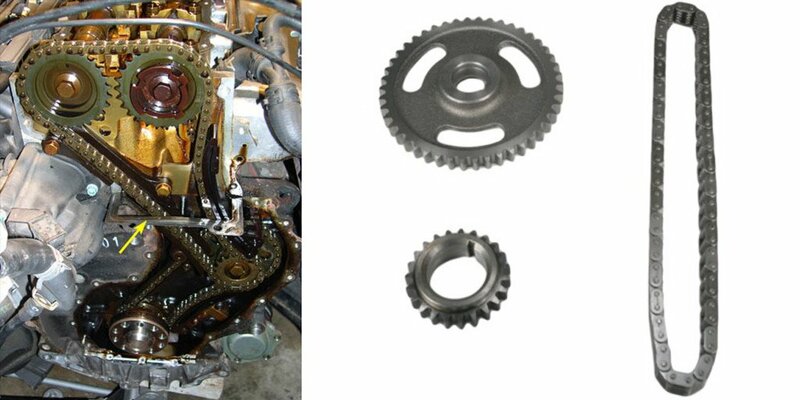 Much like timing belts, timing chains have tensioners that keep the timing chain from flopping around. The difference is that the timing chains tensioners are controlled with the engines oil pressure. As you can imagine, maintaining the oil pressure level is important, as if it drops too low, the pressure of the chain will lower causing the motors timing to become extremely erratic. will any other long block work with 2.0t cpp motor? Previous story Wheel Adapters, Spacers & Hub Rings F.A.Q.